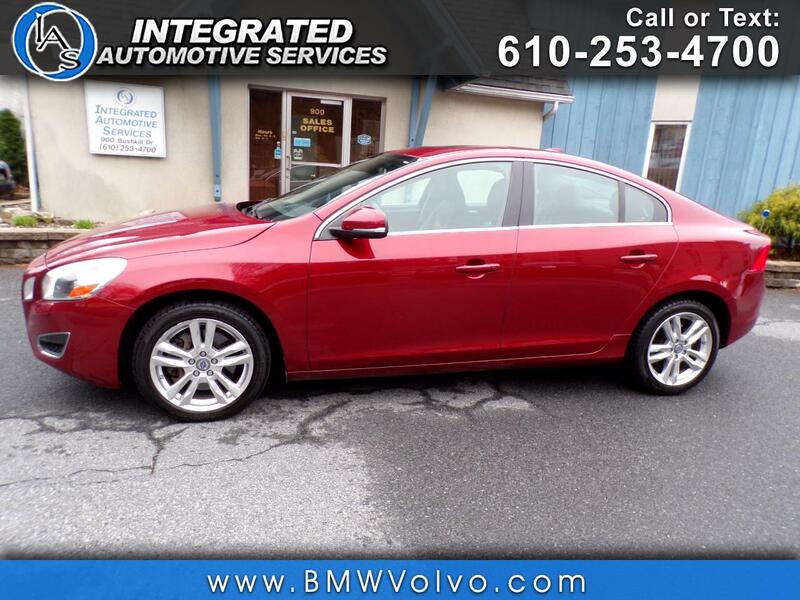 Used 2012 Volvo S60 T5 for Sale in Easton PA 18042 Integrated Automotive Services Inc. Recent Arrival! Clean CARFAX. Fresh Oil Change, New PA State Inspection, Fully Serviced, 17" Balder Alloy Wheels, AM/FM radio: SIRIUS, Auto-Dimming Rear-View Mirror w/Compass, Climate Package, Headlight Washers, Heated Front Seats, Heated Windshield Washer Nozzles, HomeLink Integrated Garage Door Opener, Leather Seating Surfaces, Memory seat, Power driver seat, Power Glass Moonroof, Power Passenger Seat, Premium Package, Rain Sensor.